Train your team for the digital age. Workshops and custom training by leading industry professionals teaching your team the skills you need to succeed in today's fast-moving digital world. Designed to equip your team members with the skills to launch and measure digital campaigns. Move your organization forward through business model innovation and design thinking. Fuel the creative process and create new business and product/service ideas. RED Method is a Model for Learning and Development that corresponds to the transformation that is happening in the world of work. Technology is transforming every industry, with many of the careers of today phasing out and evolving or being replaced with never-before-seen jobs and this will happen in three years not 20. RED’s goals is to leave you with a learning for life mindset, collaboratively & creatively driven, self aware and empowered to go beyond conventional thinking. The best ideas evolve when people with different backgrounds, perspectives, and areas of expertise join forces to solve a problem. By collaborating and sharing past experiences from different people in your organization (departments, seniority levels, social backgrounds) opens up new possibilities to approach challenges. We believe that in order for organizations to thrive in today’s innovation economy, they must be ready. The best way to learn is by doing, which is why our training model is based on creating an authentic agency and startup experience. From comfy couches to open work spaces, our learning environment has been designed with every attendees need in mind. We know you're busy, and getting away from the office is not always realistic. 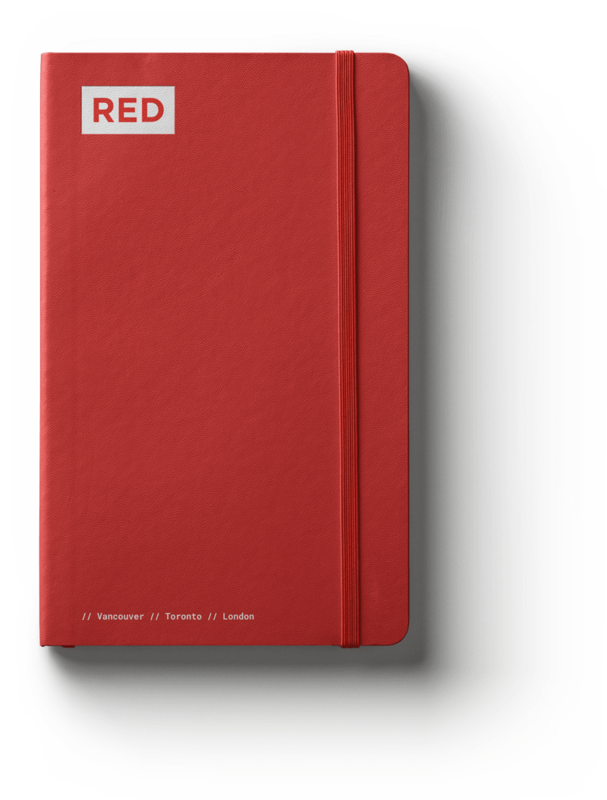 RED brings the learning experience to you, and tackles the biggest issues facing your business today. From team work, to new hard skills training, our instructors are ready to be an extension of your team. RED Academy selected a trainer, assessed the skill levels of participants, designed a curriculum, and sent a trainer from out of town. RED went above and beyond to inspire everyone with their passion for digital marketing and branding. The level of instruction successfully matched our expectations and skill level. We all learned a lot in a short period of time. We believe that in order for organizations to thrive in today’s innovation economy, they must be ready to rapidly respond to change. Our world class faculty create one of a kind learning experiences -- to drive personal learning and in turn, to boost team performance. © 2019 RED Training. All Rights Reserved.